Yesterday, I posted another in the series of Walt Disney quotes on construction signs down at Walt Disney World in Florida. All of them are sponsored by Stanley. Today...here's another one. This one hits me right in the belly because it is a big part of the reason why we keep going back: The joy that I get to share with my children. Together. This now has become a 'thing' on the blog where I can document the various versions of the construction signs at WDW. 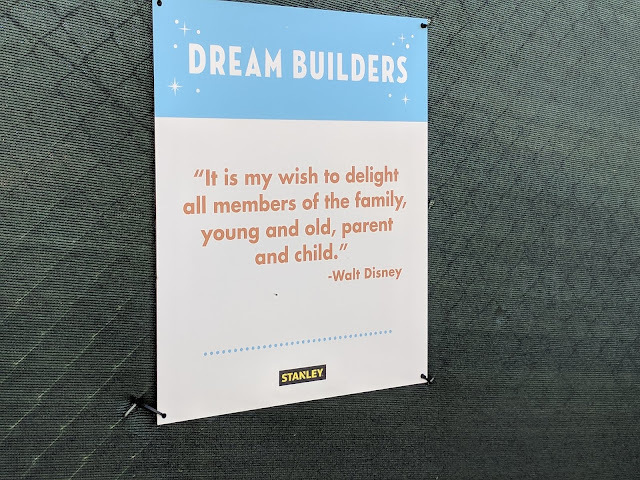 This one, in particular was located on the same walk as this other longer Walt quote where the Skyway construction is going on outside of Hollywood Studios.